Non-uniformity as a function of the power imbalance. © Temporal et al. Fusion is one of the holy grails of energy production. Now, theoretical physicists have used simulations to investigate the uniformity of irradiation at the ignition stage of thermonuclear fusion reaction. One of the ways to achieve thermonuclear fusion is through a controlled reaction between two light variants of hydrogen, called deuterium and tritium. 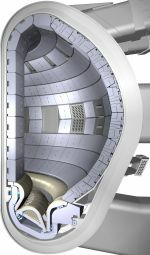 Mauro Temporal, from the École Normale Supérieure Cachan, in France, and colleagues have made theoretical calculations indicating how best to improve the ignition stage of fusion reaction. Their approach, described in a paper published in EPJ D, involves increasing the uniformity of irradiation using high-power laser beams on the external shell of a spherical capsule containing a mix of deuterium and tritium. An example of single electron tracks simulation in liquid water. This EPJD colloquium describes an approach whereby the effect of low and intermediate energy (0-100 eV) electrons and positrons can be incorporated into radiation damage models, in particular the deceleration of these particles in biologically-relevant materials (water and representative biomolecules). At the heart of the modelling procedure is a C++ computer program called Low Energy Particle Track Simulation (LEPTS), which is compatible with commonly available general purpose Monte Carlo packages. Input parameters are carefully selected from theoretical and experimental cross-section data and energy loss distribution functions. Different phases of a self-gravitational potential. The birth of stars is an event that eludes intuitive understanding. It is the collapse of dense molecular clouds under their own weight that offers the best sites of star formation. 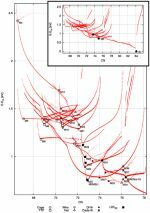 Now, Pralay Kumar Karmakar from the Department of Physics at Tezpur University, Assam province, India, and his student have proposed a new model for investigating molecular clouds fluctuations at sites of star formation and thus study their pulsational dynamics, in a paper just published in EPJ D.
‘Snapshot’ of atomic Bessel beam profiles. Scientists can now theoretically construct atomic beams of a particular kind, opening the door for applications in fields like quantum communication. 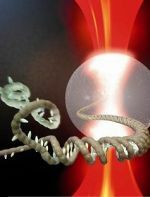 Physicists have, for the first time, now built a theoretical construct of beams made of twisted atoms. These findings are about to be published in EPJ D by Armen Hayrapetyan and colleagues at Ruprecht-Karls-University Heidelberg in Germany. These so-called atomic Bessel beams can, in principle, have potential applications in quantum communication as well as in atomic and nuclear processes. Polarisability determines the force with which an inhomogeneous external electric field acts on the ions of an ion beam. However, it can be quite tricky to obtain accurate values for this force. Now, two German theoretical chemists, Volker Koch from Bielefeld University and Dirk Andrae from the Free University Berlin, have devised formulas providing the polarisability of atomic ions as a function of their total charge number. Their findings, about to be published in EPJ D, have implications for many applications, ranging from the use of ion beams for research purposes or as a source for dopant atoms in semiconductor manufacturing to the modelling of planetary and stellar atmospheres. A small piece of paper sticks to an electrically charged plastic ruler. The principle of this simple classroom physics experiment is applied at the microscopic scale by so-called optical tweezers to get the likes of polystyrene micro-beads and even living cells to “stick” to a laser beam, or to trap atoms at ultra-low temperatures. Physicist Fam Le Kien and his colleagues from the Institute of Atomic and Subatomic Physics of the Vienna University of Technology, Austria, provide a comprehensive manual with general theoretical tools, definitions, and spectroscopic data sets for calculating the energy levels of atoms, which are modified by light emanating from optical tweezers, in a study just published in EPJ D.
Two EPJ D papers challenge established wisdom about the nature of vacuum. In one paper, Marcel Urban from the University of Paris-Sud, located in Orsay, France and his colleagues identified a quantum level mechanism for interpreting vacuum as being filled with pairs of virtual particles with fluctuating energy values. As a result, the inherent characteristics of vacuum, like the speed of light, may not be a constant after all, but fluctuate. 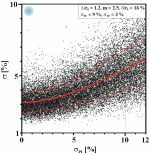 Meanwhile, in another study, Gerd Leuchs and Luis L. Sánchez-Soto, from the Max Planck Institute for the Physics of Light in Erlangen, Germany, suggest that physical constants, such as the speed of light and the so-called impedance of free space, are indications of the total number of elementary particles in nature. Energy landscape of Platinum nanoclusters. © L. Pavan et al. Physicists have gained new insights into the inner intricacies of the structural variations of metallic nanoclusters. This work by Luca Pavan, Cono Di Paola and Francesca Baletto from King's College London, UK, has just been published in EPJ D. It takes us one step closer to tailoring on-demand characteristics of metallic nanoparticles. Indeed, the geometric structure of these nanoclusters influences their chemical and physical properties, which differ from those of individual molecules and of bulk metals. 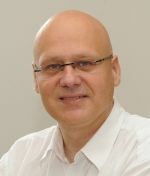 From January 2013 Vladimir Bužek succeeds Claude Fabre as Editor in Chief of EPJ D with responsibility for papers in quantum optics, quantum information and related topics. Prof. Dr. Bužek graduated from the Moscow State University (both MSc and PhD) in theoretical physics. His research interests are focused on quantum optics, quantum information sciences, quantum measurement theory and foundations of quantum mechanics. He has been the head of the Research Center for Quantum Information at the Slovak Academy of Sciences and holds a professorial position at the Faculty of Informatics of the Masaryk University in Brno, Czech Republic. An international team of physicists has calculated the efficiency of a reaction involving an incoming electron kicking out an electron from the metal beryllium (Be) or its hydrogen compound molecules, in an article just published in EPJ D. The efficiency, which partly depends on the electron’s incoming speed, is encapsulated in a quantity referred to as electron-impact ionisation cross sections (EICS). Electron-molecule interactions matter because they occur in a broad range of applications from the simplest like fluorescent lamps to the most complex, for example, in ionised matter found in plasmas such as latest generation screens, the outer space of the universe, and in fusion reactors.